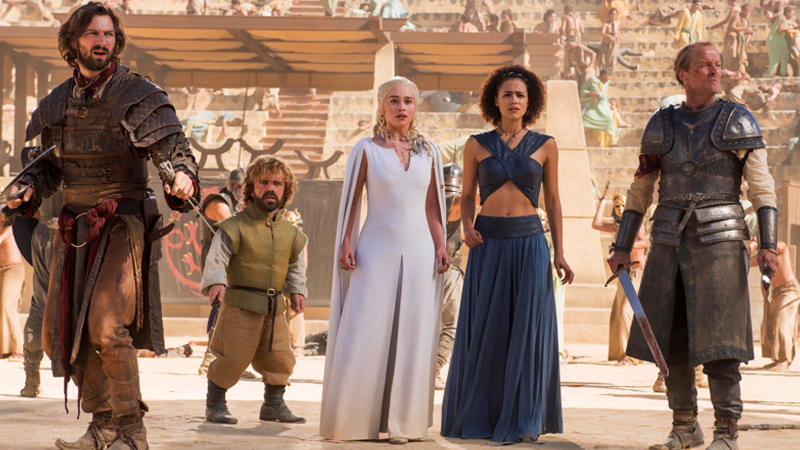 There's a zillion characters in Game of Thrones, even after a bunch of them have been brutally bumped off. But among the likes of Tyrion, Bran, Dany and pals, who's really the main character? A team of mathematicians used a power far beyond Melisandre's shadow magics to find out: the power of cold hard graphs. Macalester College associate professor of mathematics Andrew J. Beveridge and undergraduate student Jie Shan approached George R. R. Martin's book series with a set of scientific approaches dubbed "Network Science". 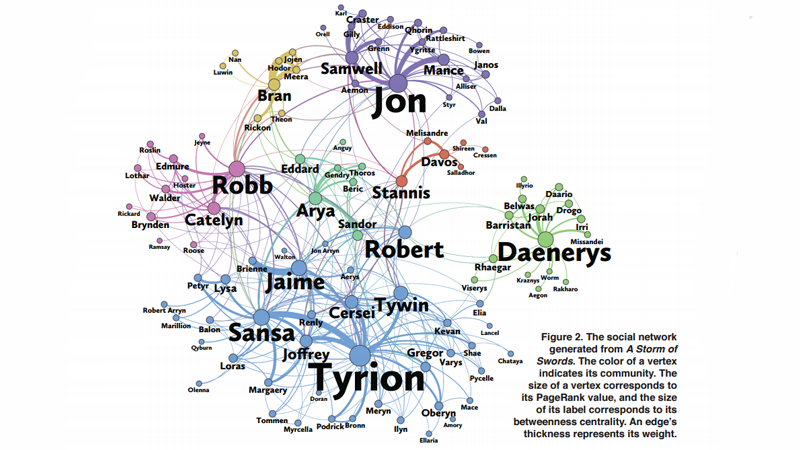 It uses graph theory, economics, maths, sociology and a plethora of other disciplines to map out a vast, interconnected network between the characters that spread all over Westeros and Essos. Unsurprisingly, the network spread the influence of characters pretty much where they were based in the books — Daenerys, isolated off in the East, Sansa and Tyrion down in the south in Kings Landing (among the likes of Cersei, Jamie and Tywin), Jon Snow far to the north and the then-alive Catelyn and Robb in the Western reaches of the Riverlands. After ranking the characters through various methods, the three most common characters that could be perceived as the "main" stars of the series emerged: Sansa Stark, Jon Snow and — at the top in pretty much every measured regard — Tyrion Lannister. Daenerys really represents the future — you can see what's about to happen based on the people she's linked with. Still, it's a pretty fascinating insight into the focal points that the book series concentrates on — and it's always cool when these analytical concepts are turned towards our favourite fictional universes. You can check out Beveridge and Shian's full paper, released in Maths Horizons, here.